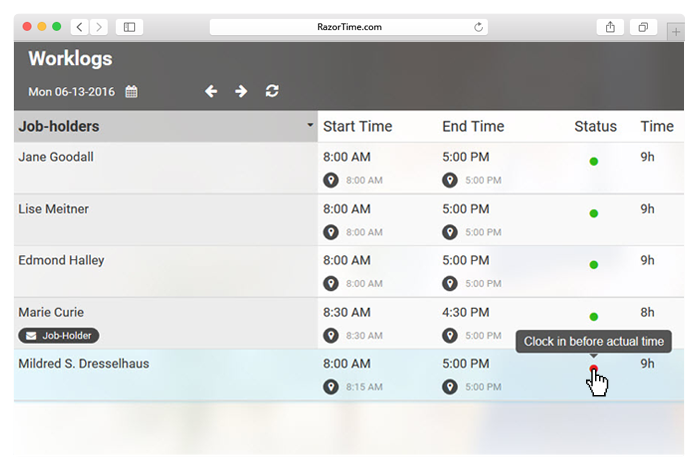 Keeping track of your staff has never been this easy. RazorTime provides you with the most accurate in/out board ever created. This simplifies your employee scheduling, time tracking and payroll reporting. 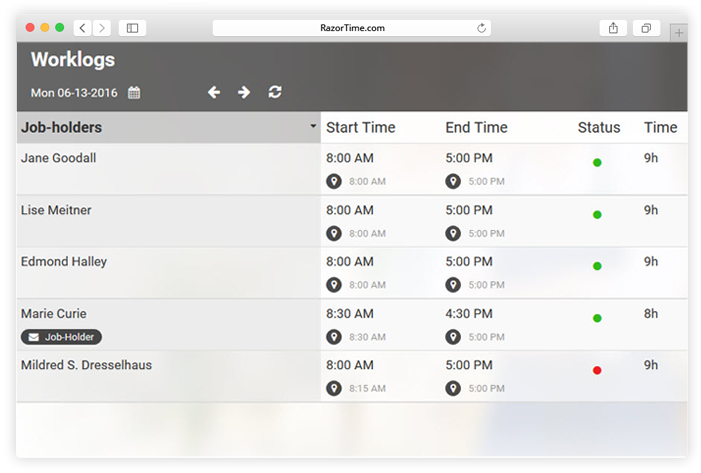 RazorTime is a world class clock in/out service and an intuitive scheduling employee tracking solution. 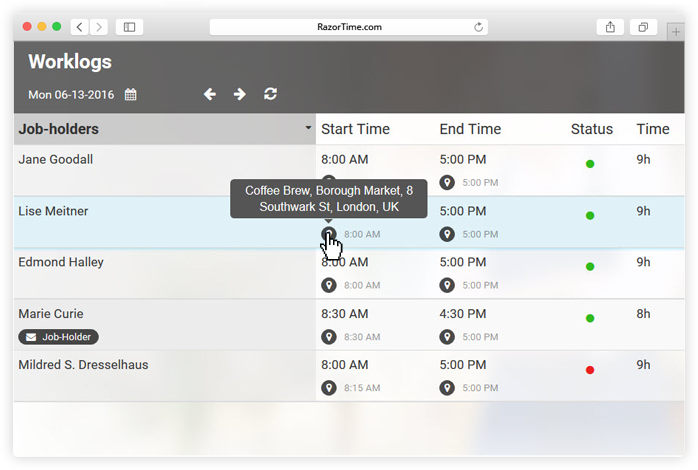 Our solution enables you to create individual schedules for your employees, record hours at a glance, display location with map and to also know where your employees are clocking in from. 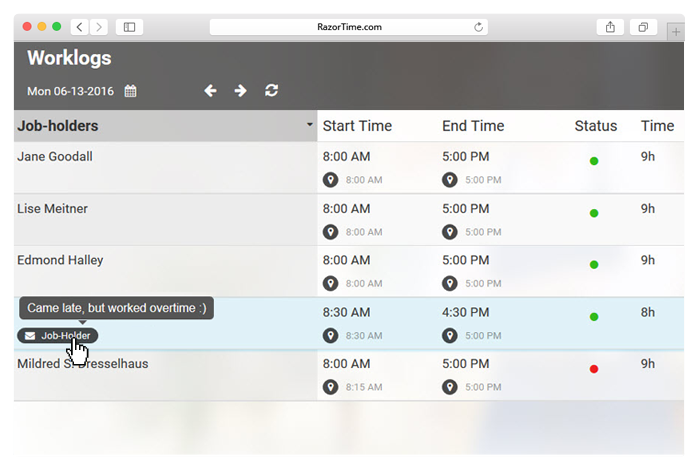 RazorTime provides the best way to save time and avoid expensive errors by automatically calculating total hours worked. 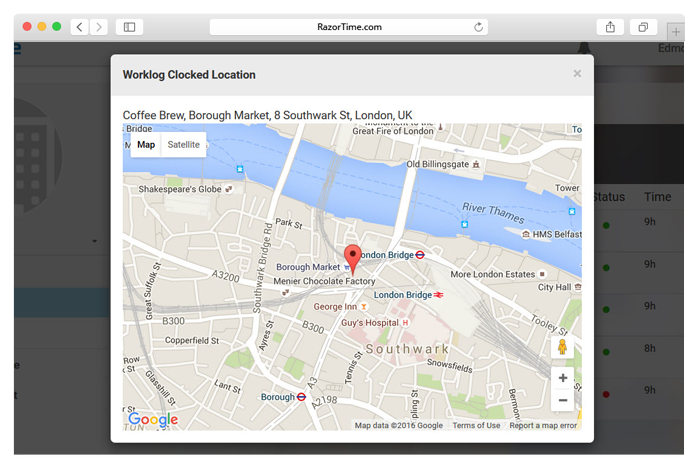 Keep track of real-time reports of your employees’ work hours to the minute accuracy as they clock in or out from work. Getting started: Quick and Easy! RazorTime’s clock in/out service eliminates the need for expensive stand-alone equipment and simplifies the process of time sheet management. You can be up and moving with us within 15 minutes and can also benefit from our affordable payment plan ($3 per active employee per month).